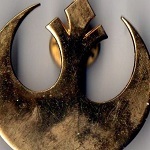 Rebel Legion :: View topic - New Member, Introduction! Posted: Wed Mar 07, 2012 2:48 pm Post subject: New Member, Introduction! Hello everyone! My name is Chris, I live in Buford GA, and I've just recently submitted my registration application for a full RL membership, I'll be doing a Luke ROTJ costume, I've recently met Brett (Nimsil) who happened to pop into my store not long ago, and I had the good fortune to be able to introduce myself in person. Overall I really look forward to meeting and getting to know everyone, and i'm very excited to start cosplaying as Luke! I'm very glad to be here, and thanks for the great opportunity everyone! Talk to you all soon i'm sure! Hey, Chris. Glad to see you posting. I was just up at the store on Monday night talking to you. Good luck with the submission and glad to have you on board! Welcome to the boards, Chris. Good luck with the application and I hope to meet you soon! Thanks guys! I really look forward to getting to know you guys! And Steve, it was good to meet you man! I enjoyed talking with you, I'm sure I'll see you again sometime. Hopefully we'll get to meet you at an event soon. Welcome Chris! It was good meeting and speaking with you up at the mall earlier this week. Good luck with your submission!